The Ruins on Stone Hill is the first book in the YA fantasy series Heroes of Ravenford. 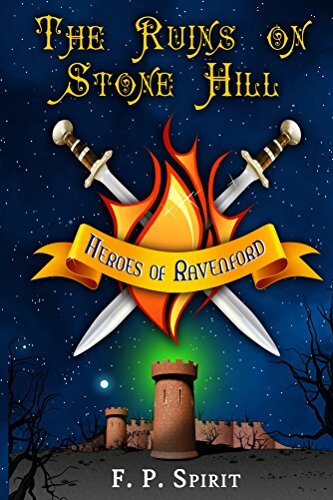 This series chronicles the adventures of a group of young “want to be” heroes from their rocky beginnings to their eventual discovery of what a hero truly is. Magic is Easy or so Glolindir thought, until he came face to face with his first live monster. Casting spells was not so simple with death breathing down his neck. His story might have ended there if not for three gifted youths: Seth, the mysterious halfling with the moves of an assassin; Lloyd, the spiritblade whose fiery swords are whirlwind-fast; and Aksel, the gnome whose very touch can heal.